I love the beginning of July…watching the kids coast into a slower pace with each day stretching out before them, a new adventure to be had. For most parents this is also a time when rules get relaxed, a welcome break from the rigid school year. While this change is celebrated by all, keeping some healthy balance is important for your child’s wellbeing and an easier transition back into the fall. Read and download a copy of our infographic HERE to help guide you and your family into a balanced summer 2018. Inspiring your child to eat a wider variety of foods can be a drag for both parents and kids. Instead of nagging, try this fun challenge. Have your child make a list of all of the foods they think they like and the ones they think they don’t. Then challenge them to move one food each week to the like side of the page with the goal of making that side of the page as full as possible. Challenges like this give your child some control over the process and creates small wins for them when it comes to inspiring adventurous and open-minded eating. Check out the infographic or download a PDF copy here for a few do’s and don’ts to help your child succeed! Although this isn’t always the easiest strategy (more laundry – eek! ), when your kids come home with dirty running shoes, it means that they have gained some amazing benefits. 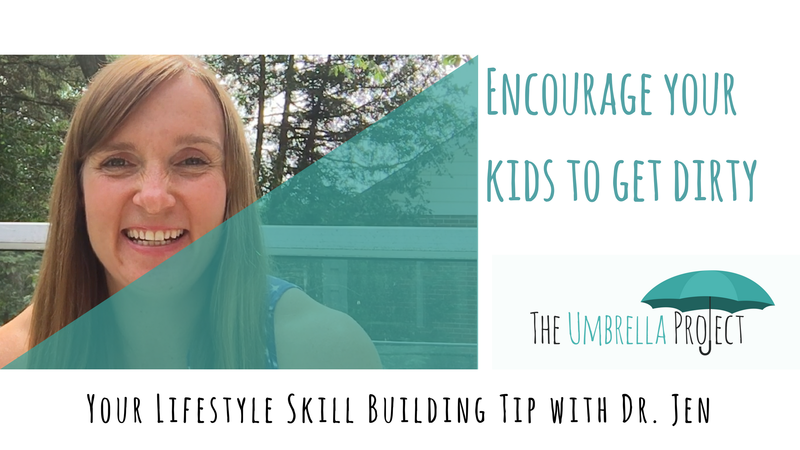 Watch the video below or on our Facebook page to hear more about today’s tip for building a healthy lifestyle for your kids with Dr. Jen! A good diet is an essential part of your kid’s ability to effectively use their coping skills. 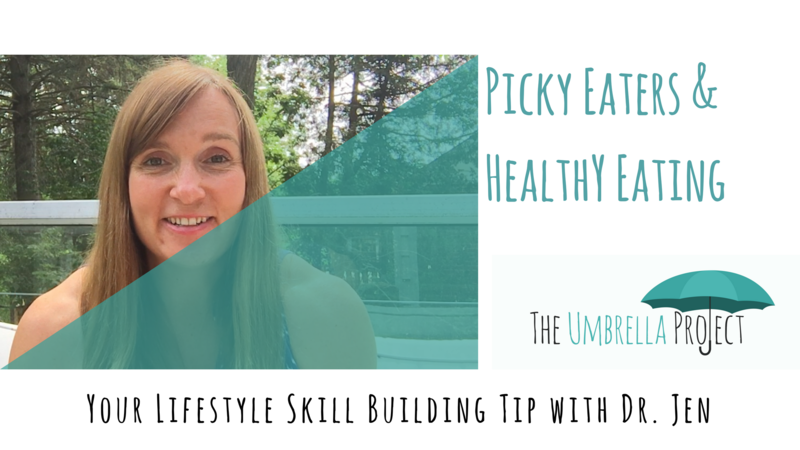 If you have a picky eater at home, today’s lifestyle skill building tip will be valuable for you! Listen in to hear more with Dr. Jen. Watch it below or on our Facebook page. 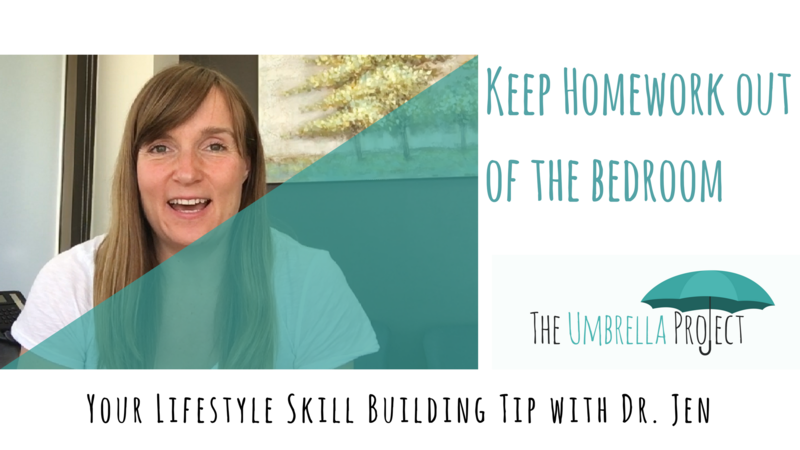 Today’s tip to build a healthy lifestyle for your kids is…..keep homework out of the bedroom!! There are two distinct benefits that this will have for your child. Listen in to today’s video and learn more with Dr. Jen. Watch it below or on our Facebook page. Lack of sleep for kids can contribute to hyperactivity, trouble concentrating, low mood, poor immune function – and more! 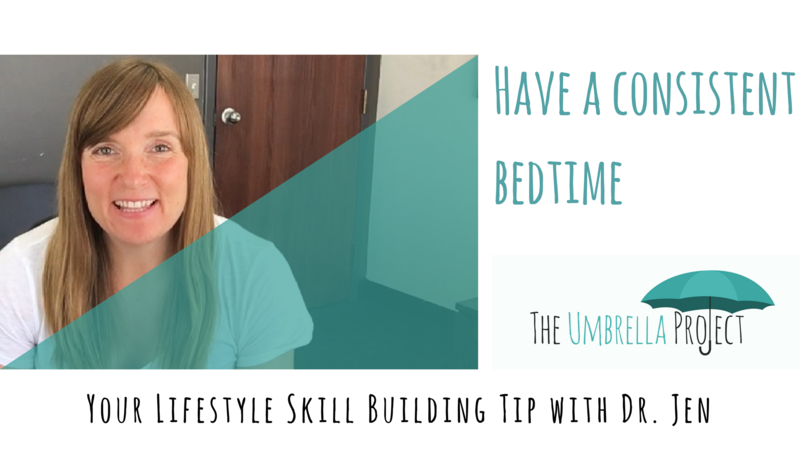 If you’re concerned about your child missing out on valuable sleep time, listen in to today’s tip with Dr. Jen to find out how a consistent bed time can help. Watch it below or on our Facebook page!